Who knows what any given coming weekend will hold, weather-wise? So far this spring, with such a drenching of much-needed rain, I've been inside catching up on a lot of TV series and films that I'd previously neglected. If you're in the same soggy boat, I have a suggestion: "Wino Weekend." There are a lot of really great films about wine out there—many available for streaming on various platforms—that would make for a great weekend of binging. Why, you might even want to have a glass alongside—for "research" purposes only, of course. Here are four of my favorites. Somm: To be honest, I thought this was going to be a yawn. After all, who really wants to watch a documentary about four professional wine geeks immersed in studying for, and eventually taking, the two-day test for the prestigious master sommelier certification—a test with one of the biggest failure rates of any. And yet, I was quickly pulled into Somm. In part, it plays like a reality TV show, and you'll find yourself at times rooting for or against some of the candidates for acceptance into the often secretive and mysterious Court of Master Sommeliers. If there's one word to describe the main players, it's "obsessed." There's nary a waking moment when the wannabe master sommeliers aren't studying flashcards about wine, testing one another's knowledge and sipping—lots and lots of sipping. Along the way, I learned plenty about not only the art of being a sommelier, but also a lot more about wine that I hadn't known, just by osmosis from taking a wine-soaked ride with these driven individuals. Red Obsession: Wine experts have been speculating lately that it's only a matter of time before a Chinese investor—given the recent rise of Chinese luxury consumption—will buy a first-growth chateau in Bordeaux. There are already several wealthy Chinese investors lined up to do so, according to an article in the March 2015 issue of Wine Spectator, "Will a Chinese Investor Buy a First-Growth Chateau?" Narrated by Russell Crowe, Red Obsession is both a history of Bordeaux wines—from Roman times, through Thomas Jefferson's love of them—and a look at the present, where the primary markets for Bordeaux exports have shifted from the U.S. and Japan to China. It's an eye-opener. Blood Into Wine: This is a really fascinating film about rock star Maynard James Keenan (Tool, Puscifer, A Perfect Circle) and his foray into winemaking. And not just winemaking, but winemaking in Arizona, of all places. 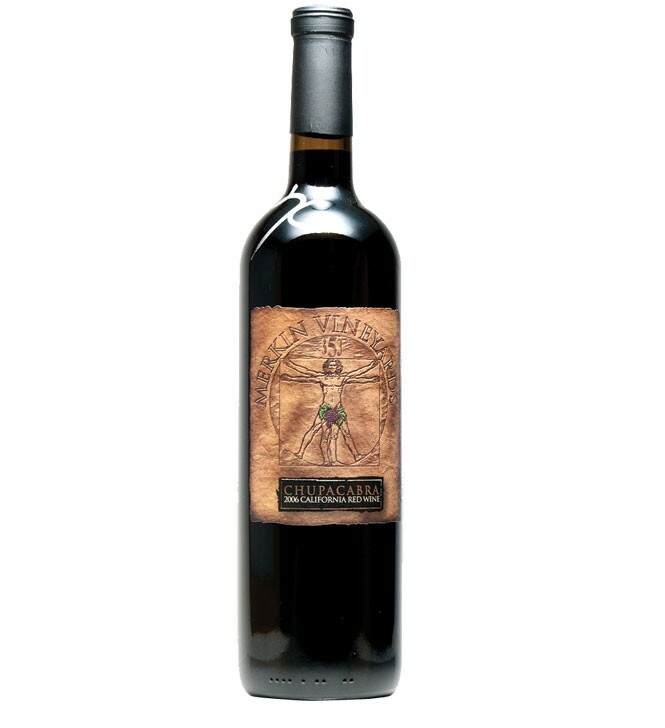 He owns Merkin Vineyards and Caduceus Cellars, southwest of Sedona. But this isn't just a story about a rich guy who buys a winery. It's about a rich guy who puts his heart and soul into learning about wine and winemaking; this is much more than a hobby to Keenan. In the process, the viewer learns more about the challenges and techniques of making wine than in any other movie I can think of. It's also highly entertaining, thanks to Keenan's self-deprecating humor and sarcasm.